On stage, they move as one. But each member of that glittering line has a unique history of hope and heartbreak, revealed in the life stories they share in this inspiring musical masterpiece. 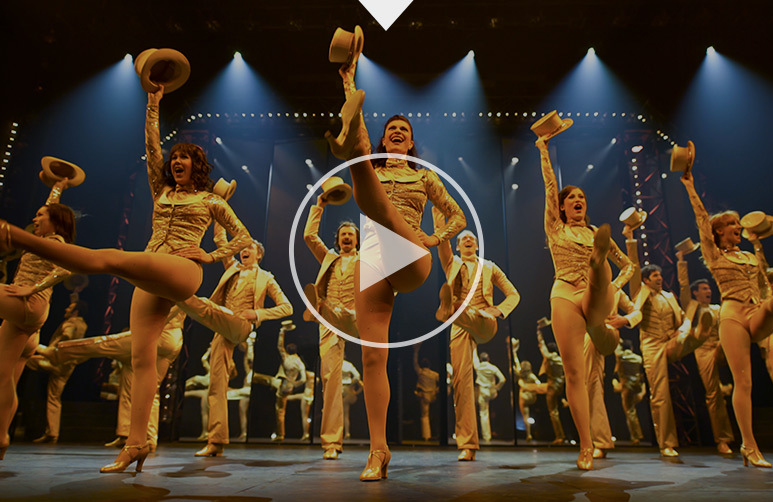 A Chorus Line contains some mature subject matter and coarse language. Production support is generously provided by Mary Ann & Robert Gorlin, by Riki Turofsky & Charles Petersen and by Catherine & David Wilkes. Julia McLellan as Val (centre) with members of the company. Photo by David Hou. Members of the company. Photo by David Hou. Genny Sermonia as Connie with members of the company. Photo by David Hou. Alexandra Herzog as Kristine (centre) with members of the company. Photo by David Hou. Matt Nethersole as Richie (centre) with members of the company.